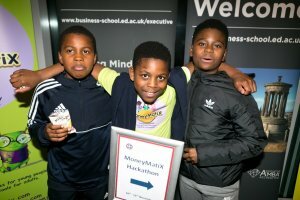 This free exhibition showcases how UK business schools are delivering a positive impact to business, the economy, and society. Real-world challenges require innovative and practical solutions. UK business schools are rising to the challenge with research that pushes the boundaries of our knowledge, connects different industries and disciplines, and builds new understandings of how we function as a society. Visual and interactive, the inaugural Chartered ABS Research Exhibition Solutions for a prosperous and fair society is open to anyone with an interest in experiencing some of the most exciting and impactful research being conducted in the UK today. 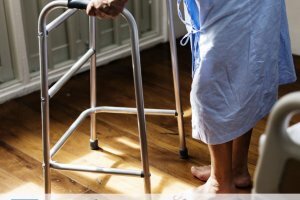 Demographic change and an ageing population mean analysts expect demand for domiciliary care in the UK to grow exponentially over the coming decades with the result that service performance and quality remain pressing issues for policymakers and stakeholders across the UK. 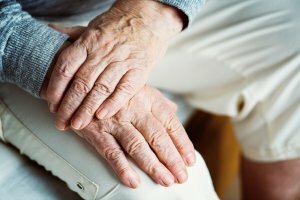 Research commissioned by the Welsh Government, and undertaken by Professor Carol Atkinson and Dr Sarah Crozier from Manchester Metropolitan University, explored the relationship between workforce terms and conditions and quality of domiciliary care. The research also underpins a Greater Manchester Combined Authority-commissioned study, with a specific focus on adult social care, that offers policy solutions to address low pay, care quality and productivity in Greater Manchester. This forms part of the local Industrial Strategy evidence base to be submitted to central Government in March 2019. Through engaging with our interactive quiz and short film you can test your own knowledge around adult social care and learn more about how our research findings have impacted significantly on both policy and practice. Members of the research team will be on hand to answer any of your questions and share their research findings with you. NHSquicker is a digital platform that delivers indirect suggestions (nudges) to inform patients of alternative locations for urgent care. 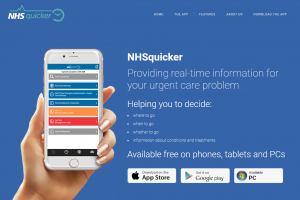 It includes a user-facing app that provides these suggestions taking into account the live waiting time from A&E/Minor Injury Units (MIUs) and combining it with travel time. It helps users make informed decisions, for example, whether they visit a facility which may be nearer to them but with a long waiting time or travel to an alternative location that is further away but with a shorter waiting time. This helps to reduce overcrowding in A&E by redistributing demand for minor ailments among the network of MIUs. This exhibition showcases research undertaken within Warwick Business School’s (WBS) Organising Healthcare Research Network (OHRN) that has impacted on healthcare organisations, service delivery and health policy in the UK and beyond. The OHRN is a research grouping focused upon healthcare organisation and management research, and concerned with impact on policy and organisational practice, commonly through empirical studies supported by large-scale research funding. The group publish in the very highest quality, peer-reviewed academic journals and the network is highly engaged with practice with WBS faculty working directly with UK hospitals and the NHS, as well as internationally in partnership with other University faculties. Research conducted through the OHRN has led to material impacts on: patient care – for example in one impact case example we demonstrate that research directly led to saving 60 lives and; health policies – for example, we demonstrate in one of our impact cases that OHRN research influenced healthcare regulatory processes and prompted a UK Government consultation on reforming healthcare professional regulation. 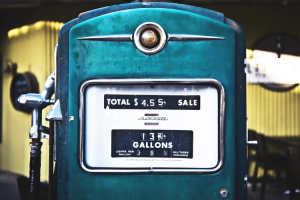 How much green tax should be put on a litre of petrol? The case for pursuing climate change mitigation policies, including carbon taxes, does not depend only on our knowledge of the underlying natural sciences. Inherently irreducible differences in opinion about what it means to be fair across generations plays an equally important, if less publicly visible, role. UK business schools have expertise that is currently being used by international government bodies to help evaluate policy proposals in this, and related, areas. We will ask two simple questions that will allow us to infer delegates’ beliefs about intergenerational ethics. We will then calculate a tax rate on petrol that is consistent with these preferences, and display where their tax rate lies relative to a range of expert recommendations". The exhibition will present a major new research project funded under the government’s Industrial Strategy which is investing over £40m in R&D creative clusters in the UK over the next 5 years. 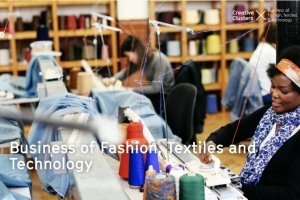 The Centre for Fashion Business & Innovation Research based at University of the Arts London’s Fashion Business School is leading an industry-HEI partnership on Business Innovation including new business and enterprise models & financing, and Technology Adoption, including AI/VR and sustainable materials development - leading to new product and service innovation and business growth. The prime beneficiaries are SMEs including BMEs, and fashion design, ‘fashtech’ and manufacturing clusters linked to social and economic prosperity, environmental sustainability and place-shaping - one of the Industrial Strategy objectives. 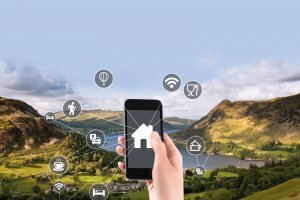 The Smart Parks concept, developed by the Connected Communities Research Lab at Lancaster University Management School, was inspired by the exponential growth in smart technologies such as artificial intelligence, virtual reality, and Internet of Things, and the opportunities they create for societal innovation in national and urban parks. There is a growing body of evidence that links people’s use of open green spaces to their physical and mental wellbeing, social cohesion, community effectiveness, and favourable economic and environmental outcomes. Our interdisciplinary research programme brings together postgraduate students, industry sponsors, community leaders, local businesses, and policy-makers. Innovation is accelerated through prototyping projects, benchmarking, and sharing of good practices. 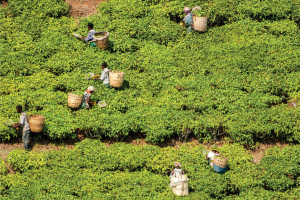 This interactive exhibition is founded on two previous research studies that explored how companies have attempted to tackle the prevalence of Modern Slavery in their supply chain, and in particular, the extent to which the UK Modern Slavery Act has transformed organizational behaviour in relation to tackling Modern Slavery in supply chains. In this interactive exhibition, we will add another ‘link to the chain’ by translating our research at the corporate and leadership level to consumers, to influence sales on the high street and thereby demonstrating that ROI in better supply chains pays off. We hope that this will encourage consumers to take action to change behaviour. The research display will be an immersive and interactive exhibition of imagery that depicts people at work in the supply chain. Through the projection of a series of images, we will evoke emotional responses from participants and explore how these affect decision-making and behaviour. We believe that communication with the public is the key to unlocking their potential to change, and extending the impact of the UK Modern Slavery Act to the high street. Three-quarters of young adults admit to making money mistakes in their first years of financial independence that impact their future lives. Financial capability is a key skill required in adult life, but not all young people have the opportunity to develop this skill. Our research has led to several interventions to improve young adults’ financial capability. This includes the development of financial education training for teachers and a financial education curriculum for post-16 students (by Young Money) delivered to over 100 schools in England and 3,500 students, that led to measurable improvement in young people’s confidence and ability to deal with a range of financial matters. Our research will be brought to life via engaging visuals, multi-media and interactive activities. The display demonstrates the potential for using commercial data to aid development in countries where data streams we take for granted don’t exist or are dysfunctional. 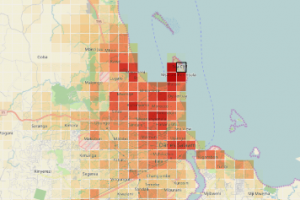 Mobile phone records (anonymized) are used to generate socio-economic maps and animations that can inform optimized service location, infrastructure design and transport development among many other applications. The demonstration consists of a 3D projection derived from mobile phone data from the Kilimanjaro region of Northern Tanzania. Note: The display was funded by the following projects: 'Neo-demographics: Opening Developing World Markets by Using Personal Data and Collaboration EPSRC EP/L021080/1' and 'From Human Data to Personal Experience EPSRC EP/M02315X/1'. The Exhibition will take place on 20th March 2019 at the University of Edinburgh's John McIntyre Conference Centre. Doors will be open between 8:00 - 9:30, and then again from 12:30 - 14:00. Admission is free but because of limited space at the John McIntyre Conference Centre we ask all visitors to register in advance. Taking place alongside the Exhibition is the Chartered ABS's Annual Research Conference. The conference is the yearly gathering of directors of research and senior scholars and offers the opportunity for in-depth, candid discussion about key issues such as: REF 2021, the direction of research funding, the evolution of the KEF, the role of business & management scholars in interdisciplinary research. Click here to view the full programme and to register.